Inside Cree’s home base in Racine, Wisconsin. As I mentioned last week, a large team from SDA took a trip west to Racine, Wisconsin to visit the folks at Cree. We couldn’t have gotten a warmer welcome from all of the team members there. While we talked some inside baseball that wouldn’t make for a terrific blog post, we also reviewed some core concepts at the heart of how Cree approaches lighting. Here’s a quick run down. The first concept is one that I’ve written about before, it’s the idea of vertical integration. As one of the world’s leading chip manufacturers, Cree gets LED on the component level. So what’s happening on the chip level informs what’s happening on the component and fixture level. This has driven rapid innovation within Cree across the different product categories they serve. When one thinks about Cree, the temptation might be to compare them to Philips, Cooper or RAB, companies that have a huge breadth of offering in nearly every product category. While Cree’s product offering is robust and growing every month, it’s not all things to all people. Every product that is brought to market is meant to be the best in it’s class, finding the sweet spot between performance, aesthetic appeal and cost. 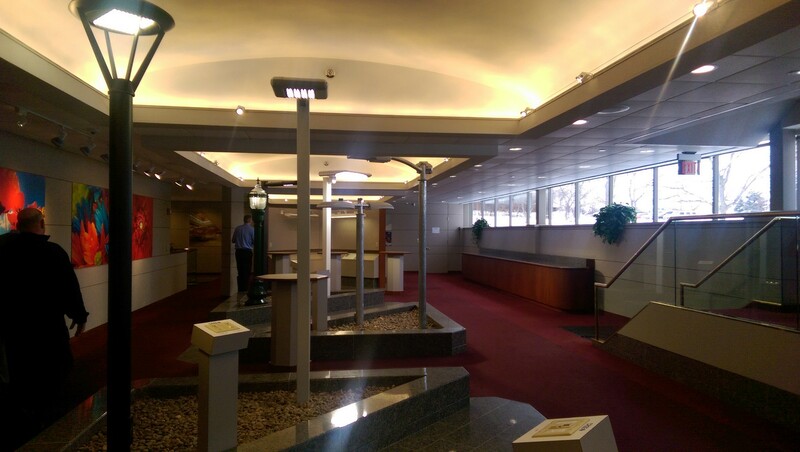 Not “just good enough.” A great example of that is the VG fixture. 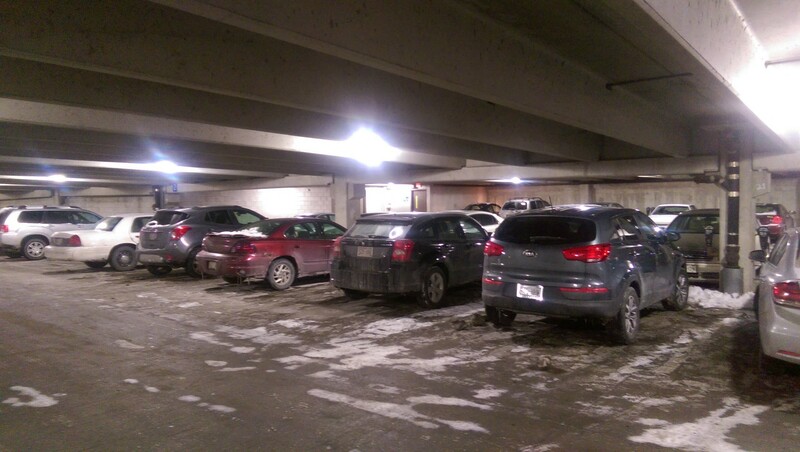 This fixture is made expressly for parking garages. This is a big fat segment of the retrofit market and rather than crank out a glare bomb fixture that was “just good enough,” Cree engineered a fixture that maximizes visual comfort for drivers and pedestrians, provides great coverage, saves energy and comes in at a very reasonable first cost. Bright fixture to fixture coverage and great volumetric lighting makes this garage feel safe and inviting. Cree’s True White technology is the branded name for 90+ CRI. We’ve already discussed how CRI is not a perfect metric for the color fidelity of LED (or any other light source), but Cree goes beyond simple 90+ CRI to offer exceptional R9 values in their True White Products. Whether we’re talking about produce in the supermarket, or complexion of a patient on a hospital bed, the power of great color in light cannot be understated. We saw this level of color quality at play when we took a ride out to a local Dodge dealership. This is a perfect example of how True White in Cree’s Edge HO area light made these Jeeps pop. Many thanks to the folks at Cree who were tremendous hosts. We consider all of the factories in the World of Light to be tremendous partners in bringing the NY area the best lighting in the world. Trips like this only solidify that feeling. Ready to learn more? Reach out and tell us in the comment section!